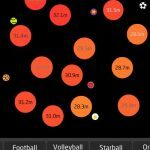 Renowned developer PIKPOK, which is home to dozens of fun and addictive games such as Into The Dead, Rival Stars Basketball, and Flick Kick Football Legends to name a few, recently released Kung Fu Clicker to add to its collection of games that anyone can easily learn and enjoy. In Kung Fu Clicker, you build (or rather rebuild) your dojo floor by floor and continuously upgrade it to amplify your earnings. Over time, Shadow Fang gang members begin to raid your dojo as you summon the martial masters you’ve collected to help you (and your clicking finger) defend your dojo. 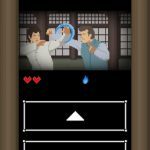 Kung Fu Clicker is an easy to understand yet somewhat difficult to master type of game. It’s definitely fun and highly addictive that you’ll hardly have any idle time once you begin your adventure. This is a game that is very hard to put down once you start playing but as a consolation, you’ll continuously earn gold for every minute you spend off the game. With its simple mechanics, there’s hardly any need for a lot of in-game tutorials as it is as basic as comes and you’ll get to easily grasp new features that come along the way. At some point in the game, however, you may find yourself stuck in a looping situation where the difficulty is perhaps a little over your level and you might feel that you’re doing something wrong. Don’t worry though, because whether you’re struggling to defend your dojo and unlocking the next one, or simply wanting to do better at showdowns, our Kung Fu Clicker cheats, tips and strategy guide can help you gain a competitive advantage when defending against those raiding thugs or assaulting on other players via the showdown. As soon as you create the first floor of your dojo, you start to earn gold which you’ll have to either use on opening up the next floor or upgrading the current one. As higher floors cost exponentially more to open and upgrade but offer bigger earnings, it is best to focus your priorities on unlocking them first before proceeding with the upgrades. Given that the first few waves of raiders are relatively easy, this would be the best time to maximize resource generation to make doing the necessary upgrades a lot easier later on. 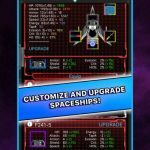 Spamming on upgrades randomly might help you for starters but the more efficient approach is to pay a little attention to each floor’s level. As earning speed doubles and tap damage increases every fifty levels, deciding which floor to upgrade should depend on whether or not these upgrades will result in getting these incentives. You can set the upgrade button from x1 all the way to max upgrade. Setting it at max is easier but strategically, you’ll want to switch this often to suit your current need. There is practically no end to how much each floor can be upgraded and, more likely than not, you’ll be clicking on more upgrades even if you no longer need them probably because they are still highlighted. If you can already hold a defense on the lower floors, then it’s practically best to save gold on the better earning ones at the top especially since no amount of gold earnings from the bottom floor can compare to the ones at the top, and at some points, the upgrade costs will be relatively the same. Every Master you collect in Kung Fu Clicker has the primary purpose of helping you defend against the raiders. Their respective abilities and stats may differ but overall, the rarity of the hero has a huge impact on their overall strength; following the “gold beats silver and silver beats bronze” format. Each master’s strength will initially be also dependent on which ones you get more often and these considerations will be the key to deciding where to best place your masters. Categorically, most masters have a variety of skills that can help you in defending your dojo, whether they are tough giving you more time to tap on those raiders or are strong on the offensive and can help you a lot in eliminating them. There are a few masters, however, who focus on aiding you generate more income for your dojo. As a simple strategy, the masters whom you feel can defend your dojo the best should be at the bottom floors and the ones that boost income should be considered for the top floors. In Kung Fu Heroes, Transcend lets you reset your dojo, with all the gold you’ve earned so far as well as the upgrades you’ve spent on, while keeping your heroes, and their respective levels, as well as celestial items that you have unlocked using the chi that you collected. Trancend provides you chi depending on how much you have accomplished on your run, in terms of unlocking and upgrading rooms as well as the number of raids you defended against. As you earn more chi and gather more celestial items to aid you in defending your dojo, each transcend makes it easier to get back to, and perhaps exceed, the progress level in your previous run. Also bear in mind that you can upgrade each of the celestial items to increase the boost they provide. If you are close to unlocking a new celestial item though, you may want to hold on to your chi and unlock the item first before boosting what you feel you need the most. With raids that continue to run against your dojo, and with each raid more difficult than the previous one, it’s certain that you will reach a point where you will struggle and eventually fail to defend your dojo. When that happens, you have to be able to asses if it’s still within your capacity to successfully repel the same raid or not. If your answer is the latter then that’s a clear sign to go for a reset and hit transcend. Know that each time you do so will strengthen you for the next run. Every fifth raid will have a mini-boss attacking your dojo along with the regular hooligans. You are guaranteed to get a Silver Chest after this raid but what’s more rewarding are the tenth raid and every five raids after that. These raids reward you with a golden chest which contains much needed rare and common master cards to level up your masters, as well as some gold and a few diamonds. It might be a struggle for you on your first run to achieve this but it becomes very easy to attain fast enough. As you defend through the tenth wave of the raid you’ll have an idea of how difficult the fifteenth on will be. Don’t worry much about the raids in between though as these will be easier than the ones with mini-bosses. This is especially important if you’re aiming to earn chi to unlock or upgrade celestial items and almost always be tempted to jut transcend and start over when the raids become a bit challenging. At some point later you’ll be too strong for even the tenth raid and, if that will be the case, set your limits further by targeting raids five levels higher at a time. It may take a while before you can unlock the third and fourth dojos. The real challenge though comes with to defend these dojos from raids. Especially since each dojo is more expensive to upgrade than the previous one and the limited number of your masters make it a struggle to allocate them accordingly. As you unlock the next dojo, you can start earning new masters from chests you get. These new masters will be difficult to utilize at first given their levels and random drops won’t prioritize handing out upgrades for them over your older masters. Therefore, your best option, initially, is to still favor using the masters with the higher levels. You might be compelled to think that scattering your masters evenly across your dojos is your best option but it’s actually not. What you need to understand is that raids only occur once across all dojos and as such you only need to reassign your best defensive masters to the dojo where the raid is counting down. Following our initial strategy of putting the income-boosting masters on the top most floors, this will now apply to the highest open floors of the highest ranking dojo. Watching a five to thirty-second videos to boost your income generation by two to four times is a pretty good deal and you shouldn’t waste it. Even at 2x income generation, you would still more than make up for that thirty seconds (you might you’ve wasted) in no time. More so if you’re lucky enough to get the 4x multiplier. Additionally, you’re dojo is still earning during that thirty seconds, and invasions are halted as well. The Showdown in Kung Fu Clicker is a game mode where you choose to join one of three clans and battle random players from the other two clans. You’ll pick five masters to raid another player’s dojo that has about four to ten defenders. In here, you’ll be randomly pitted against weaker and stronger opponents but with your clicker skills you can almost always win against stronger defenses. An important strategy to keep in mind here is how you choose to deploy your masters to raid the opposing dojo. Defenses are typically set with a strong master, perhaps that player’s strongest, who can instantly destroy your weakest raiding master. With that, it’s best not to send your cannon fodder to go first. Sending in your strongest master, on the other hand, for a “best against best” duel with the defender will most likely result in him or her taking damage and eventually being less reliable to take you to the top of the opponent’s dojo. Generally then, the best formation is to send mid strength masters first, preferably ones with good defense, followed by weaker ones who may take the blow for your third attacker, who is your ace in the assault. The fourth and fifth masters to charge in are just for cleanup, so this is entirely up to you. Another thing you have to consider here is the timing by which you deploy your masters in the showdown. Depending on which masters you use and who you’re up against, you can eventually time this just right as you get to be familiar with each master. Never send one master right after the other as they may all take damage from a single defender when it could have been avoided with better timing. Additionally, always prioritize tapping on the enemy over deploying your assault team masters. You will have a lot of chances to earn diamonds in Kung Fu Clickers. Lotus Points on the other hand can only be gained from the showdowns. You’ll be presented with plenty of opportunities to spend them as well. As with most games, you shouldn’t spend these resources on items that depend on luck. Rather, aim to earn enough to get what you really need. If you can save for getting that rare master you so very much want on your team, aim for it. If you’re so close to upgrading a master you use consistently in your team then grab it. With so much going on in the game you might hardly notice the Missions Icon on the upper right of your screen. From time to time, you should look into it to claim diamonds you’ve earned as you achieve certain milestones in the game. Claim your daily rewards as well as these will contribute a lot to improving your game. There’s also a free chest to claim at the Antique Shop once every six hours. And that’s about it for our Kung Fu Clicker cheats, tips and strategy guide. We hope that you found it enjoyable as well as informative. 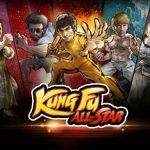 Do you have additional Kung Fu Clicker tips and strategies that we forgot to mention? Let us know on the comment section below!